Mana Wine had a rare opportunity earlier this week to join a group of wine collectors for a BYOB with the members of Chaîne des Rôtisseurs. We were encouraged to bring wines from Bordeaux, or Napa Valley and share with 25 wine enthusiasts and industry professionals. The stellar selections were passed around the table in abundance as each guest brought 2, or 3 bottles! 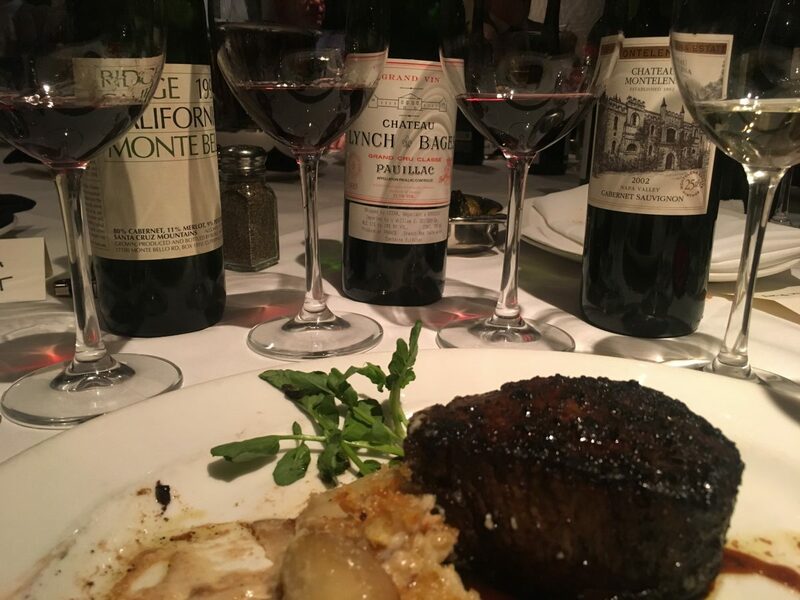 After tasting over 60 wines from Chateau Haut-Brion, Chateau Margaux, Premiere Napa Valley and many more; we decided that the Ridge, Montebello, 1992 was showing with amazing depth and smooth tannins that teased our noses with both earthiness and spice. The Chaîne des Rôtisseurs is an international gastronomic society founded in Paris in 1950. It is devoted to promoting fine dining and preserving the camaraderie and pleasures of the table. Currently, the society has members in over 100 countries and the New York chapter in the oldest in the United States. Click here for member inquiries.